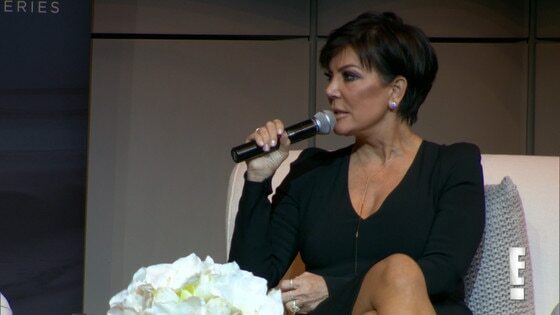 Kris Jenner is giving an update on son Rob Kardashian's health. While chatting with Maria Shriver during last night's Architects of Change: The Conversation Series event, the Keeping Up With the Kardashians matriarch opened up about Rob following his recent hospitalization and diabetes diagnosis. "He's had a year where he kind of wanted to chill. He hasn't been feeling well, we didn't know why. He was just diagnosed with diabetes, so we're taking care of that," Kris said, adding that Rob is very much a part of everyday family life despite his absence from their hit TV show. "But he's always around. I see Rob every day." "I think Rob enjoys all the family stuff we do. He has his business, his sock line and his stuff. But I think that it was just the perfect time for him to take like a little hiatus," Kris added. "We said, ‘Just get well. Feel better.' He was depressed and just wasn't feeling good and didn't know why." "But you didn't think about stopping [the show] because of that?" Shriver asked. "No, because we see him, he's with us all the time," Kris responded. "But he's not on the show?" Shriver added. "No," Jenner said. "He wants to still come back and shoot the show, he just wants to feel good. It's not that he doesn't want to be on the show, it's just he wasn't feeling good." Check out the clip for more from Kris! Watch Keeping Up With the Kardashians Sunday at 9 p.m., only on E!